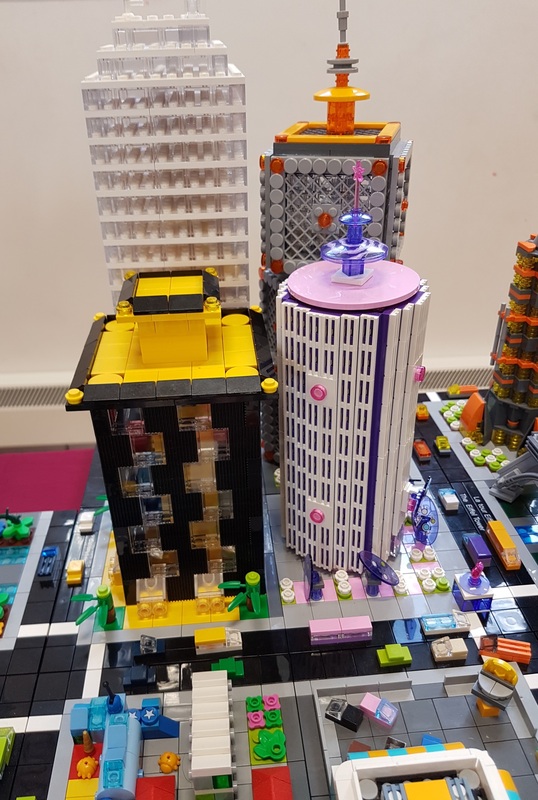 Last Saturday was spent locally, supporting the 17th Reigate Scouts in a new venture for them, a Lego and model show. We were not sure what to expect, but it turned out to be a very pleasant and relaxed day – not least due to the opening hours of 12-4 giving a bit of a lie in before setting up. It was really just like an extra club PlayDay, with spectators. We were well looked after and fed and watered – what more can one want. 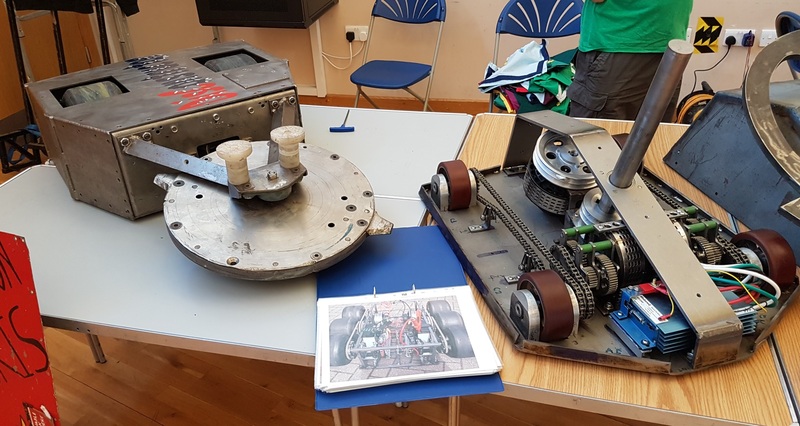 We soon had a simple N-mod layout up and running at one end of the Scout hall. 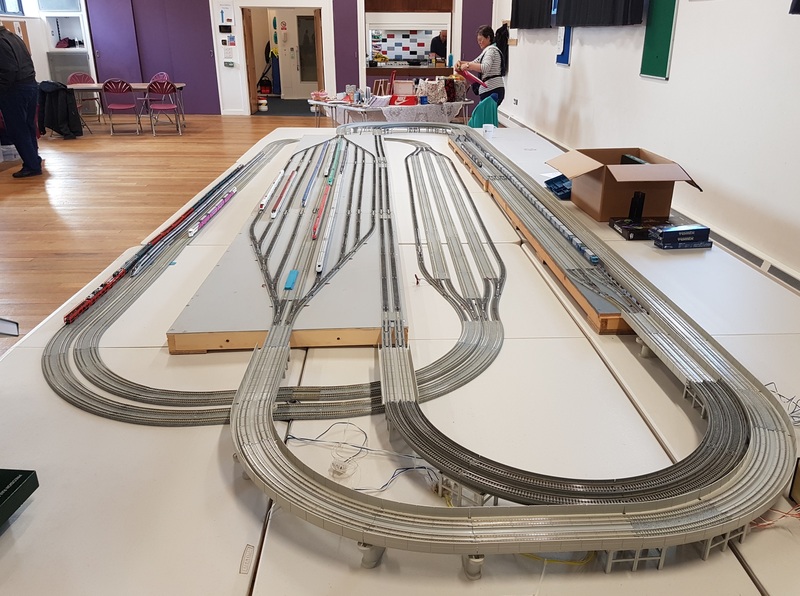 Paul brought his Kato along with a simple – for him – layout. We were also well placed for teas and coffees and food! 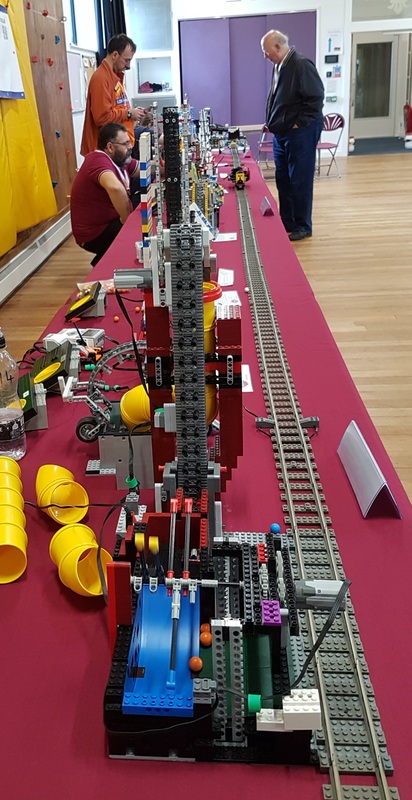 Down the other wall was the ‘adult’ Lego display, with a wonderful mechanism that transferred small balls from one end of the mechanism to the other, then returned them on the train. A fascinating bit of work, that worked well all day. 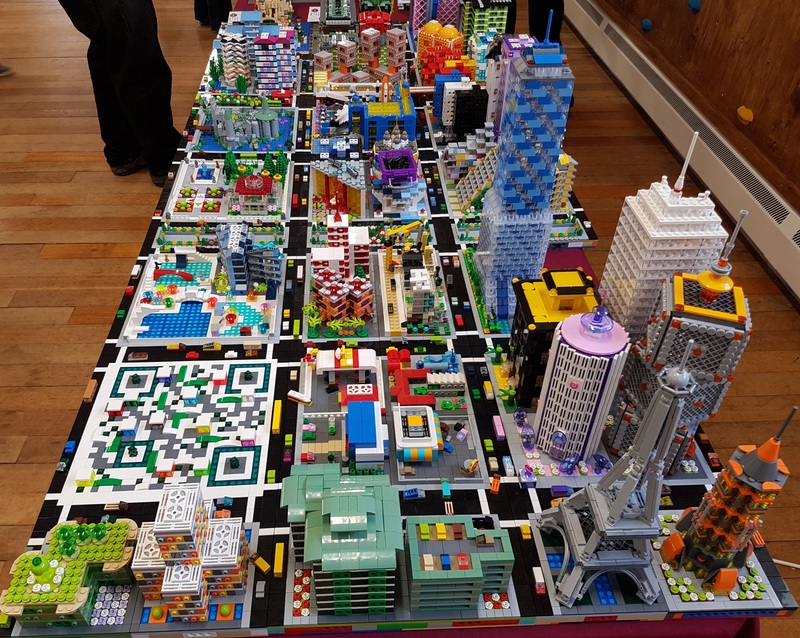 At one end was this interesting Lego cityscape, made up of individual boards. 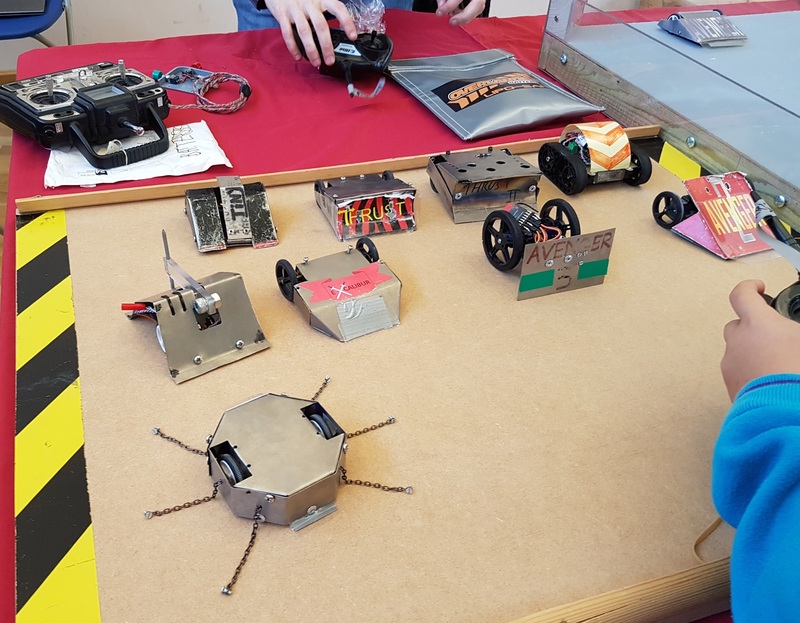 In the other hall there was more Lego, some fine matchstick models, and Robot Wars…. Back to the trains – we ran the usual eclectic mix of stock. Dave’s canal basin had a rather overscale visitor, as part of the ‘Spot the Homer’ competition. Any resemblance to any ESNG member is entirely coincidental….. They hope to hold the show again next year. We’ve said we’d be interested in exhibiting again. 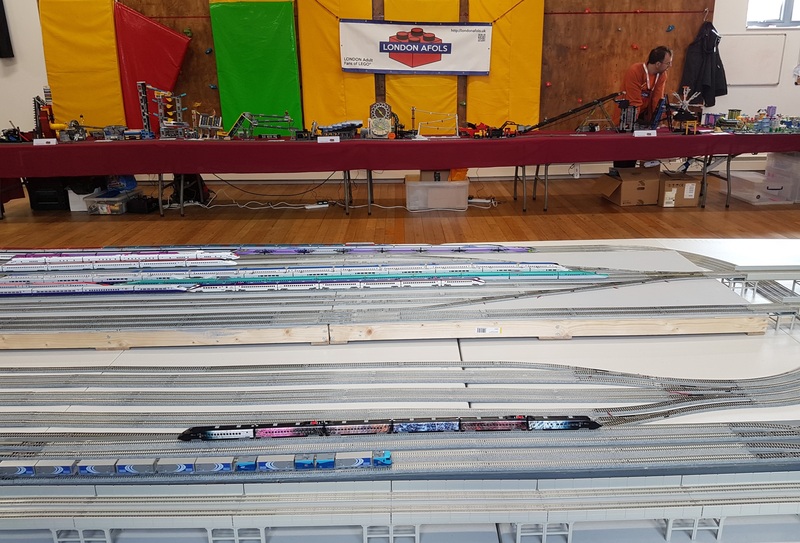 OK, there weren’t other railways to look at, or shops to spend money at, but it was good to feel that ESNG were putting a little bit back into the local community. And 80% of the visitors (there were plenty) were youngsters and far more enthusiastic than the average model railway enthusiast! Perhaps we sowed a few seeds for the future? 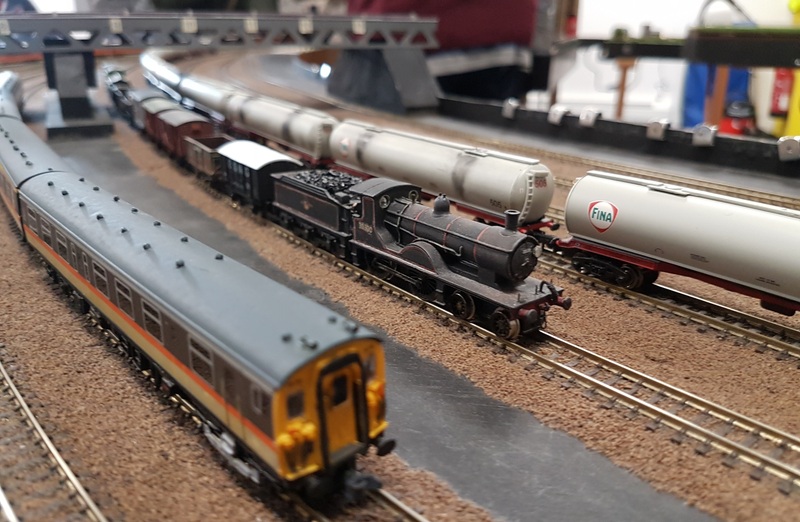 This entry was posted in ESNG, Exhibitions, Out and about and tagged ESNG, exhibition, modular layouts, N gauge. Bookmark the permalink.